If you own a computer, keeping it safe from all threats should be your first priority. The first thing you should do after installing Windows is installing a good antivirus or internet security software. If you are using Windows 8 or Windows 8.1, they come with a pre-installed antivirus called Windows Defender. Windows Defender will do the basic tasks of protecting your computer from viruses, spyware and other threats. If you want more security, you will need to go for advanced security solutions. Some security companies provide free versions of their antivirus software like AVG antivirus, Avira Antivir Free, Avast Antivirus free etc. These free software are also good but nothing can beat getting a professional version of antivirus or internet security for free. 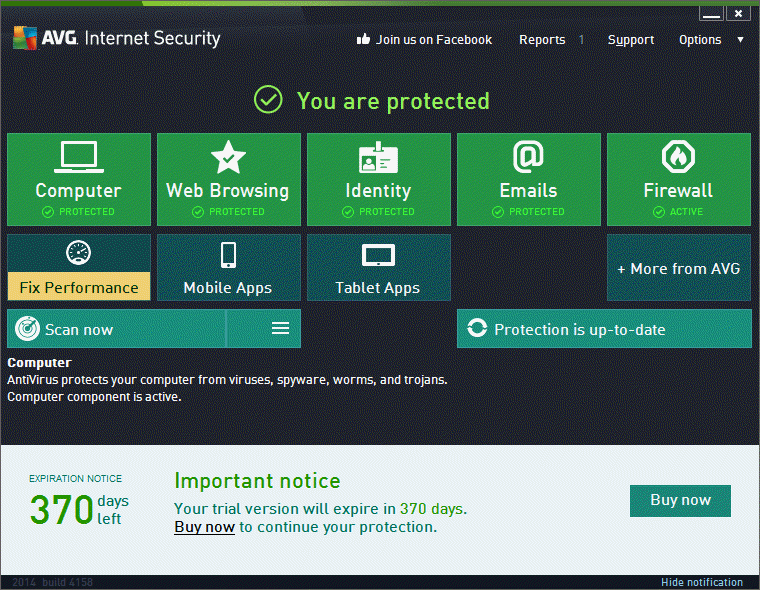 We will show you how to get AVG Antivirus 2014 and AVG Internet Security 2014 with 1 year free license. You can install the antivirus using the downloaded setup file. The setup downloaded from the above link also contains an embedded license key which will be activated automatically. AVG freebies are run as extended trials instead of proper licenses. This means that the installed antivirus will run as a one year extended trial. But this should not stop you from downloading the trial because there is no difference between the trial and the licensed product. All features are enabled in the extended trial. 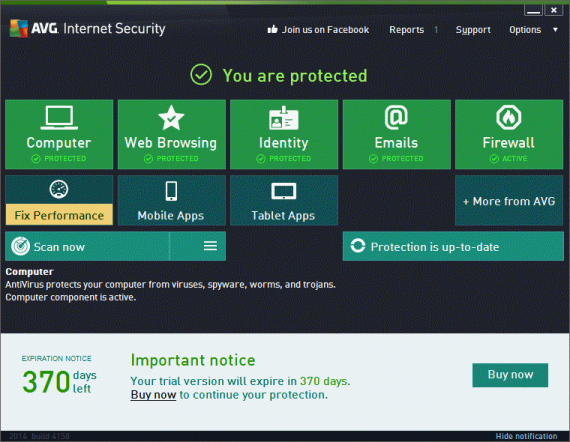 Now that you have downloaded and installed AVG security product on your computer with one year free license, we would like to know your thoughts about AVG Antivirus and Internet Security. I have installed AVG Internet Security 2014 on my computer and it is working perfectly. In fact, it has caught a couple of viruses and ad-ware from the system which were left alone by Windows Defender. Update 25-Dec-2014: Some people are complaining that the above links are not working. We have updated the links and they should be working now. Thanx for the avast but its still in trial mode how do i unlock the license? Sir, I wished to know where did you get this template just like Digital Inspiration blog.?? Both are modified versions of Elemin theme from Themify. I am using avast but have a plan to use avg later. That’s great. I have used Avast as well as AVG and Avira Antivir in the past. My choice would be to get a free license of Avira Antivir which was the one I loved the most. What is your experience about Avast? Avast is quite good, no soft feelings. Just I loved the boot time scan feature.